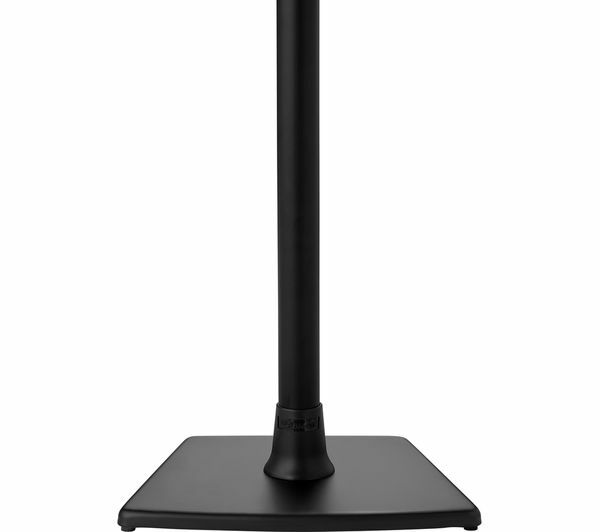 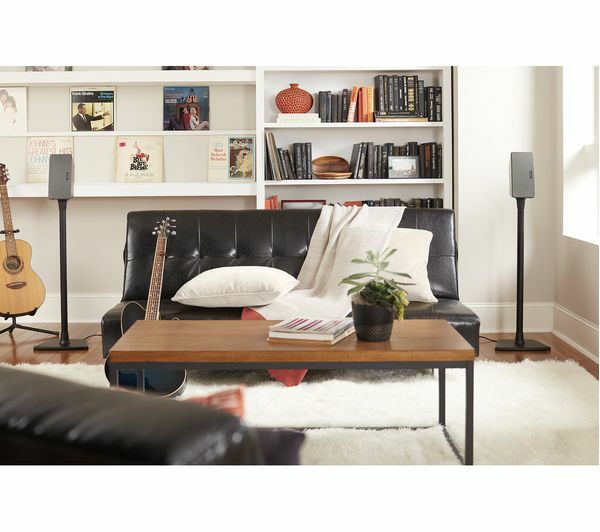 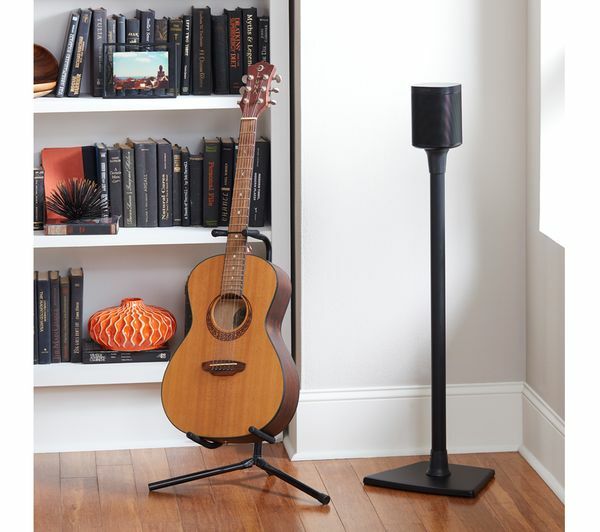 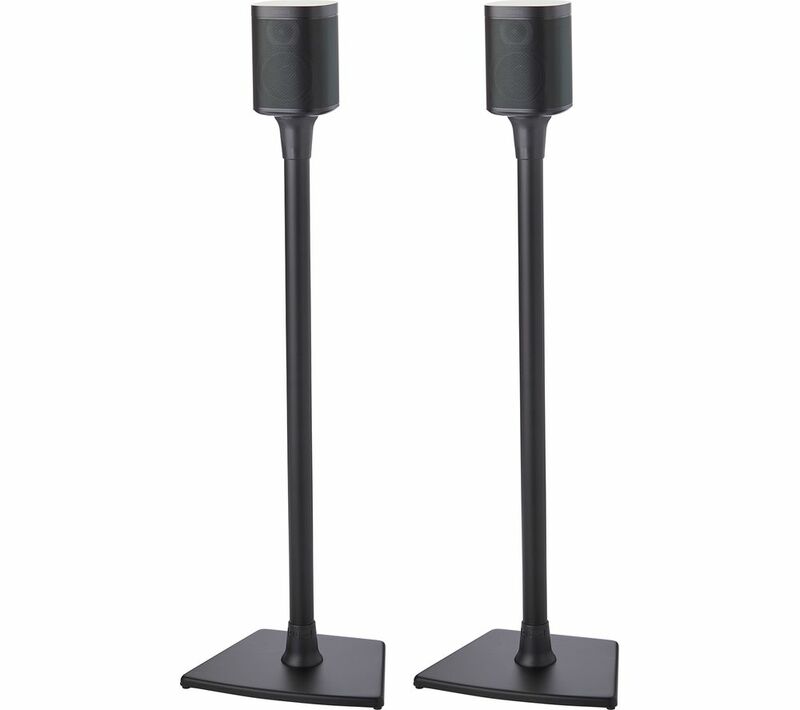 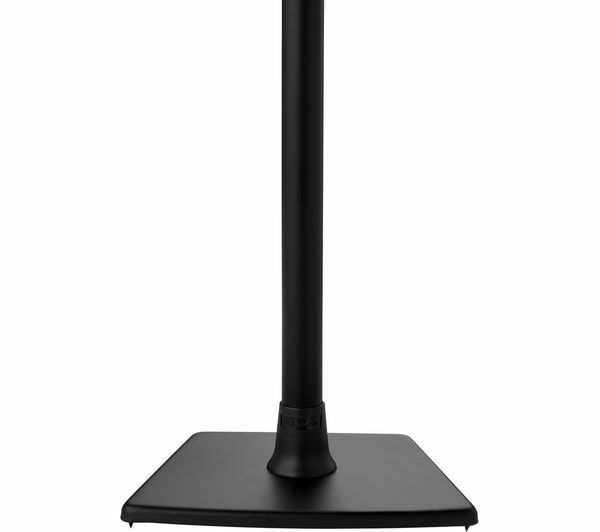 Display your Sonos speakers in style, with the Sanus WSS22-B2 Floorstand Pair. 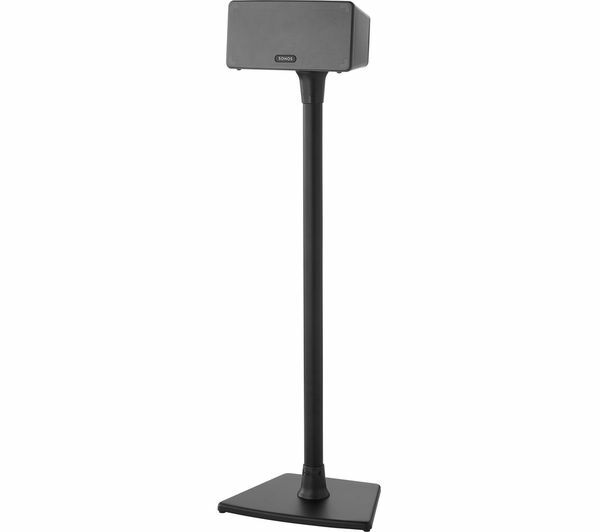 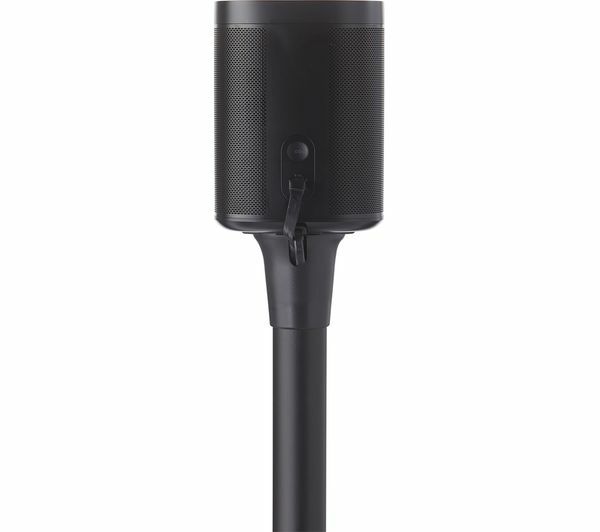 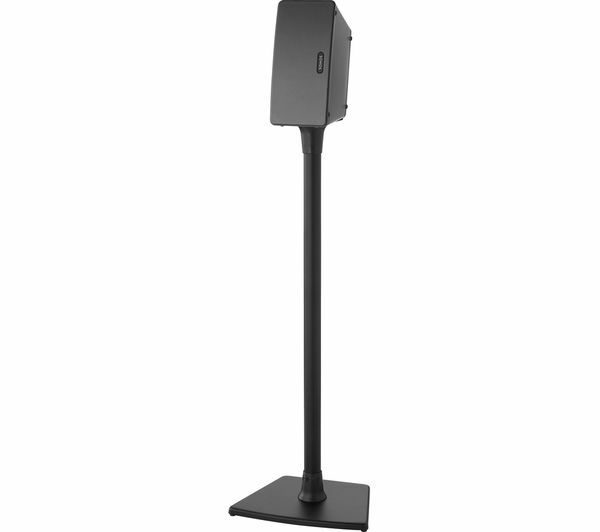 Crafted in stainless steel, the floorstands are designed to secure your speakers safely and securely, and is easy to set up in just 15 minutes or less. 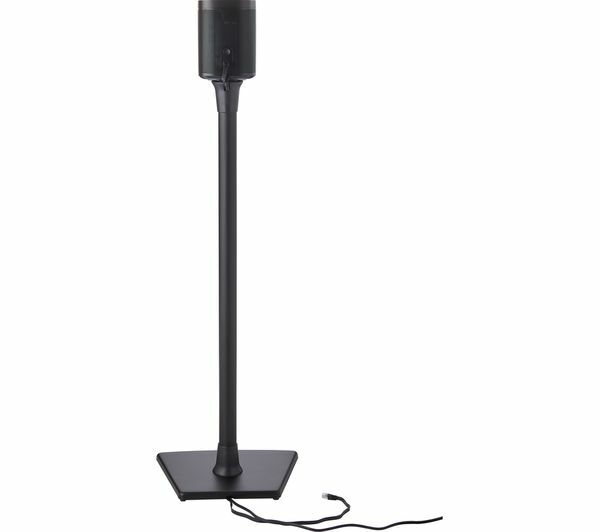 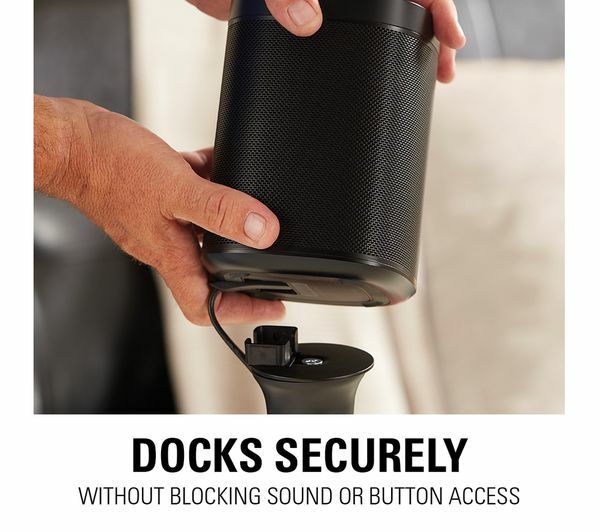 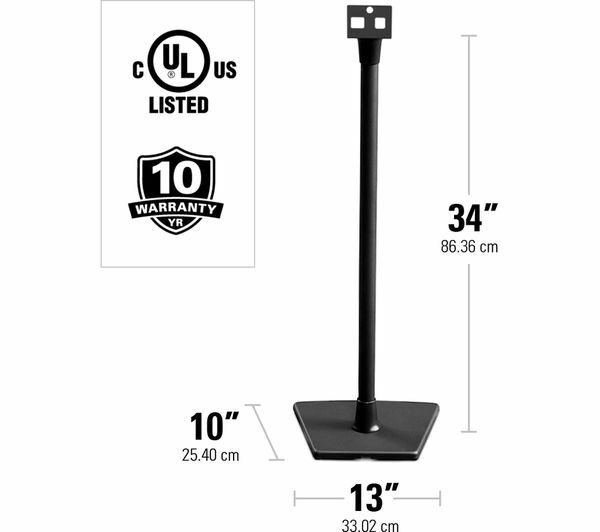 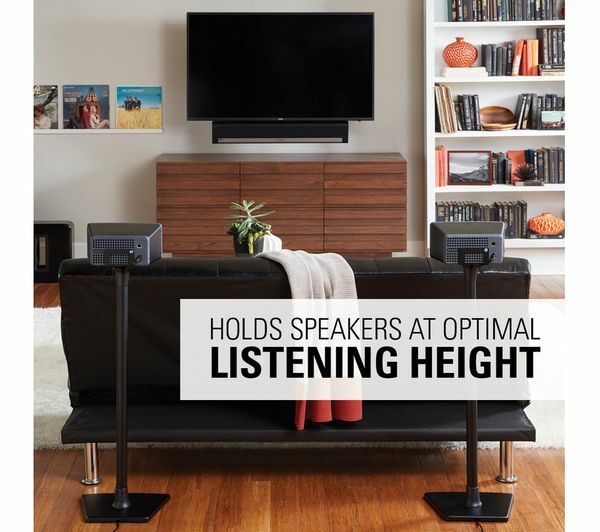 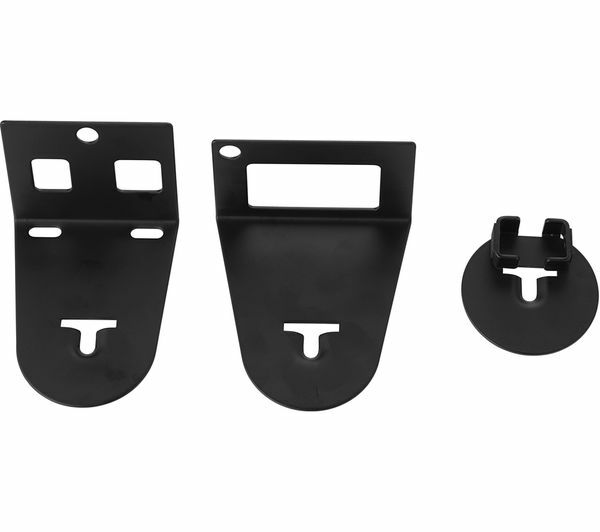 The stands hold your speakers at the manufacturer's recommended listening height, so you'll get an even better listening experience. 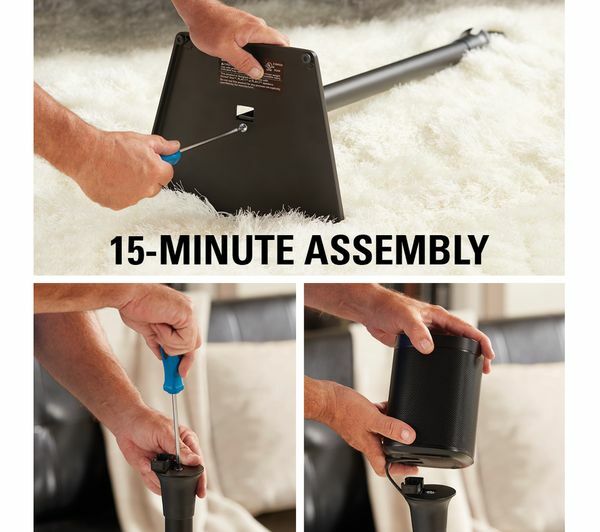 And don't worry about messy cables. 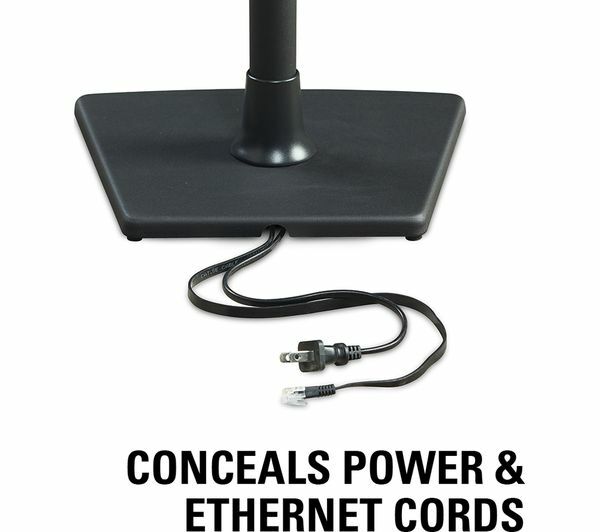 Built-in cable management keeps stray wires out of sight. 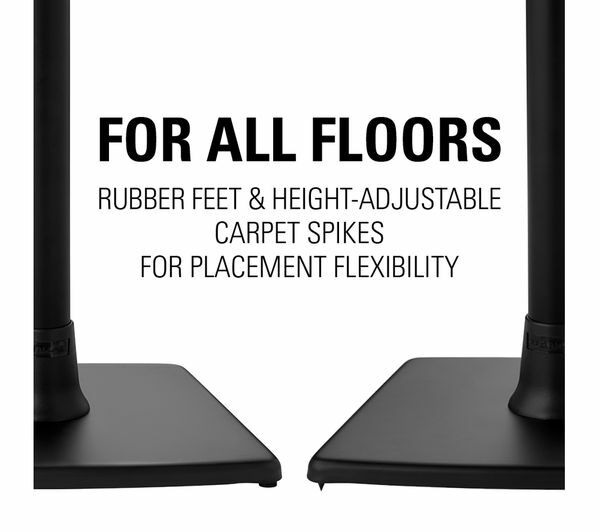 Carpet spikes and rubber pads help you secure the stands to any floor type.